Database Enhancement Gateway Administrator Danny Gredinberg in September posted a video tip reminding users about what he called a “really cool” feature: the Labor Report. Gredinberg said he gets many requests about Audatex, and “one of the biggest questions” surrounds how it develops its labor times. Users can actually see a detailed list of what was included within the time by selecting the “Estimate Report” option within Audatex and then choosing “Labor” from the “Document to view” drop-down. Gredinberg said it was valuable when comparing estimates written in Audatex and in one of the other two estimating systems, neither of which provide so clear a breakdown. 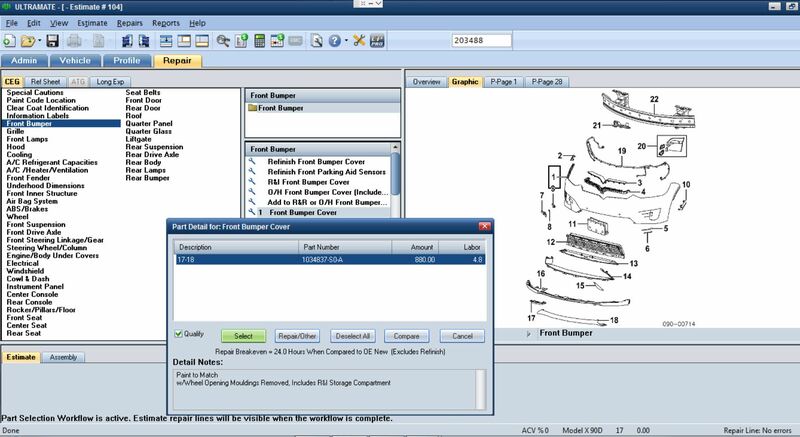 He demonstrated the system using a three-line estimate for a supercharged 2018 Land Rover Range Rover: remove and install the front bumper cover (2.5 hours), R&I the engine cradle assembly (8.1 hours), and R&I the engine and transmission (10 hours). 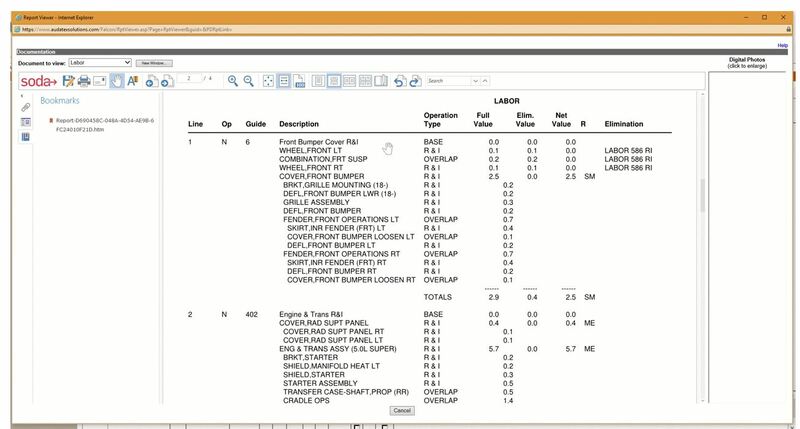 By selecting the Labor Report, “that three-line estimate quickly turned into an expanded-view breakdown” with numerous of line items showing base labor times, what R&I is included and any overlap considerations. That simple bumper cover R&I item now includes more than a dozen elements of disassembly and overlap Audatex factored into the 2.5-hour result. “This labor report has a lot of great information,” Gredinberg said. Repairers now can see Tesla labor times regardless of estimating system. The DEG reported earlier this fall that Tesla times have officially come to Mitchell. Audatex announced Tesla exclusivity in 2015, though it wouldn’t disclose the length of the contract. CCC received Tesla times and upgraded VIN decoding in 2017, the DEG announced in a tip that year. Mitchell in May 2017 confirmed it was in talks with Tesla as well. In October, the DEG reported the information provider’s success. 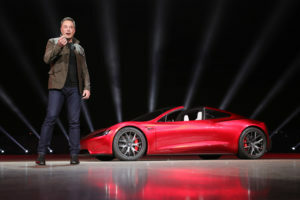 “Non Approved Tesla body shops should still check with Tesla parts departments for part restrictions prior to working on vehicle as well as understanding the dangers and risk involved working with high voltage systems,” the DEG continued. The DEG also advised that “parts are updated frequently” and directed users to confirm current part prices and numbers with Tesla itself. “Please submit DEG inquiries for any missing or outdated information for Tesla Database in MITCHELL,” the DEG wrote. Audatex allocates the time for removing and installing or removing and replacing quarter panel glass to the sealant procedure if both the sealant and glass are on an estimate, the DEG explained in an October tip. The issue arose in September DEG inquiries for a 2011 Volkswagen Tiguan wagon and a 2018 Toyota RAV4. In the Tiguan inquiry, the user had complained about their inability to apply R&I labor time to the quarter panel glass itself, even manually. They suggested ditching the sealant labor time and add it to the glass R&I itself. The RAV4 inquiry raised a similar concern about the labor sticking to the sealant line item rather than the glass. “This causes issues since we commonly see the adjuster always zero out the labor for the glass sealant and not realizing this the actual labor for the 1/4 glass,” the user wrote. They too suggested removing a value from sealant and applying the time to the glass. “The Glass sealant is not even an OEM Part, so a labor time should not exist on NON OEM Components in the database and no labor should ever be applied to a ‘consumable’ product used to Bond a component of the vehicle,” the user argued. In Audatex, when a user adds both aforementioned items to an estimate, the system allocates the labor to the lowest guide number after any applicable overlap is applied. This guide number hierarchy is integrated into Audatex labor development. Estimator judgement times or manual entries will not remove preexisting overlap deductions where labor economies between multiple parts have already been considered. This is the normal function of the Audatex Estimating system. No change warranted at this time. The DEG wrote that users could tell if the “Quarter Glass Sealant Kit” time was by modified by looking for an asterisk. The DEG in October posted a handy cheat sheet dictating what is and isn’t included on operations related to seam sealers and protective coatings on welded panels. As with many items on estimates, the majority of operations weren’t included by any of the three systems. But the chart demonstrated that some discrepancies do exist on the 17 items it tracked. Audatex, however, includes two item the others don’t — applying weld-through primer and feather, prime and block on replaced welded panels — and doesn’t include three of the procedures both CCC and Mitchell do. Another DEG cheat sheet posted in October is much more clear-cut. It shows that key scanning and calibration items aren’t included on any of the three estimating systems. So that one should be pretty easy for insurers and repairers to remember.